Welcome to my peaceful family friendly holiday cottages, surrounded by idyllic rural countryside. I believe that I have created a safe and child friendly environment for my young guests to allow them imaginative play, the possibility to run free and wild, to play amongst nature; a peaceful and tranquil "Home from Home" for Mums and Dads to unwind and relax from the hectic daily life; a perfect base to discover and explore the outstanding beauty of the Lot region and neighbouring Dordogne here in South West France. 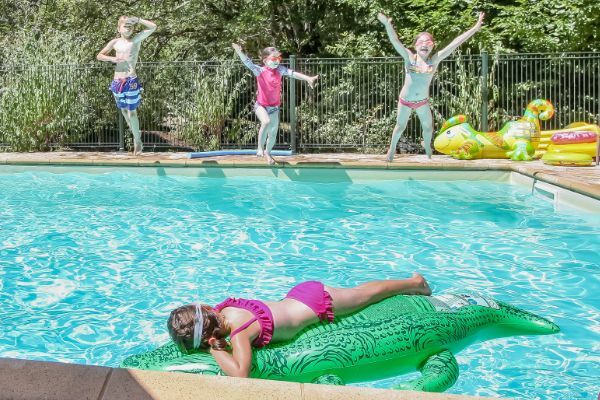 When we first visited Domaine de la Dolce back in 2010, I immediately saw the potential for a wonderful child friendly holiday destination where parents can relax as their children enjoy the company of newly found friends and where the whole family can make long lasting holiday memories. Family holiday, undisturbed time to play and to relax…..a special time together! Happy children mean happy, relaxed parents! Being a parent myself I know how important it is to offer child/family-friendly holidays and I do my best to provide parents of babies, small children and toddlers with all the essentials (and the little extras), so that children and Mums and Dads alike have a wonderful, relaxing and stress-free time. The three gîtes (self-catering cottages) are single-level accommodations configured specifically with my little guests in mind. Parents find a welcome basket on arrival and some basic essentials to get them started, while the children receive a special present, appropriate for their age. Pre-arrival shopping can be arranged and if parents do not wish to cook on the evening of arrival, they can also order a quiche freshly made by a lady at my local market. Most importantly the children feel happy and safe here and make instant playmates. 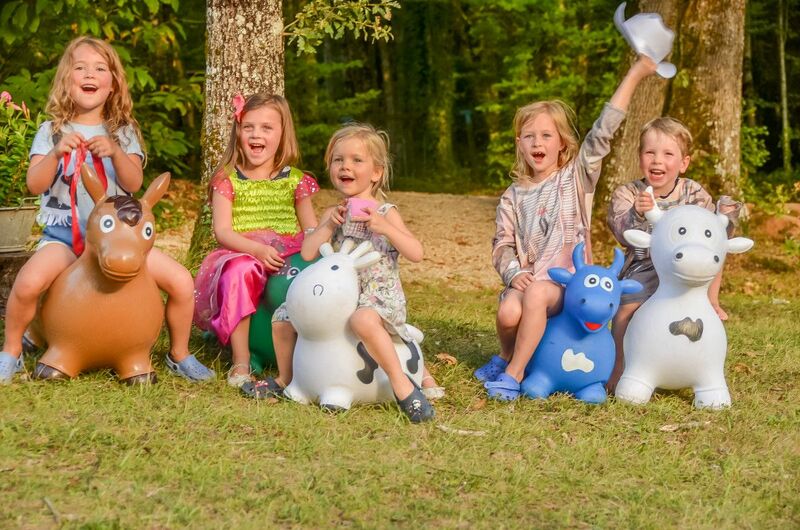 With a huge range of toys and games and, being located in an area where there is so much to do and see, I welcome returning guests year after year. The indoor playroom is a kid’s heaven, with a fantastic collection of toys for all ages, plus books, games, DVD’s, dressing up clothes, a huge blackboard for lots of creativity (not only by the children), Playmobil and table football. Outside the children’s paradise continues with a huge meadow in front of the gîtes. 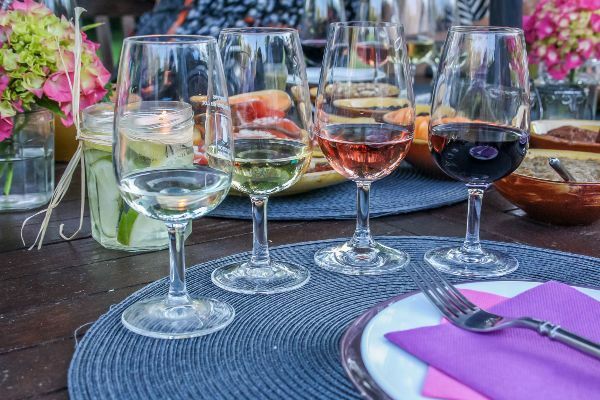 While the children run around to let off steam, play in the tipi or Hide and Seek, they are in full view of their parents who in the meantime can relax on their private patio with a cup of tea or coffee or, later in the day, a glass of wine or beer. In addition, my little guests have the shady playground in the woodlands to discover, can enjoy a splash and a swim in the fenced and heated salt-filtered pool or maybe try a game of table tennis. Why not come and experience a very special holiday in my family friendly cottages for yourself – you could even book all three gîtes to stay with the whole family or your friends. The Lot is also being widely regarded as gastronomic paradise. Furthermore the region has a micro climate that is drier and warmer than those to the north like the Dordogne or Limousin. Springtime and autumn are therefore wonderful months to visit, ideal for baby friendly holidays. 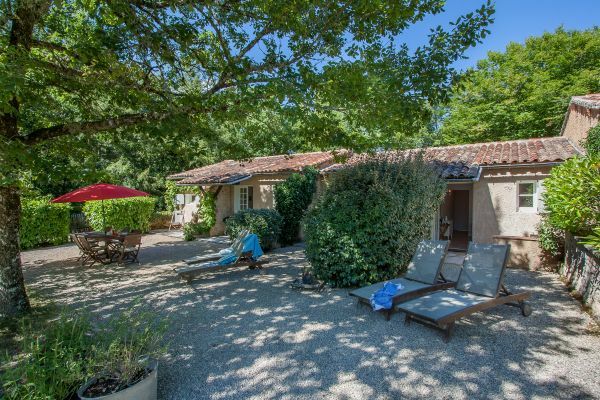 Set among rolling hills and farmland, where the vineyards of the Cahors wine region mingle with the tranquil oak and chestnut forests of the Périgord, Domaine de la Dolce offers you peaceful child and family friendly holidays in the heart of South West France. 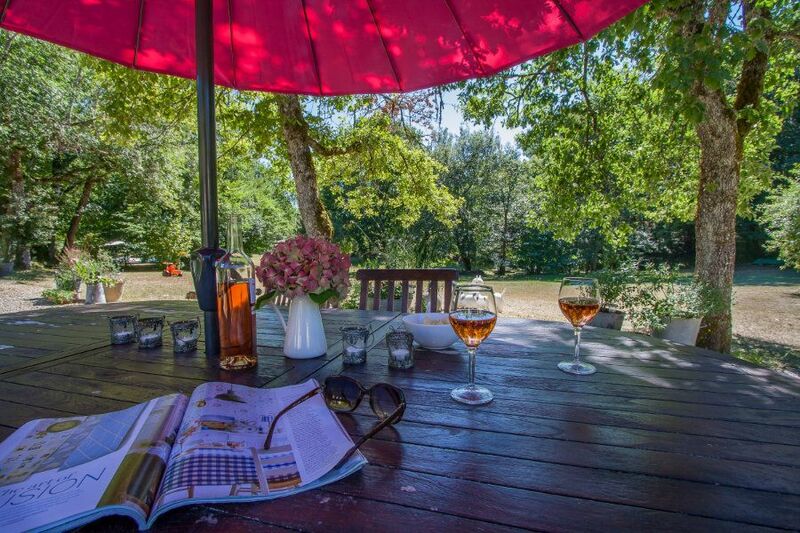 All you will hear during the day are the birds in the many trees surrounding the gîtes, the laughter of happy children…..and in the evening maybe the hooting owl.